All photographs as seen in viewfinder - no post processing. Impact Of IIT Alumni in USA celebrates the shining difference made by over 50,000 graduates of Indian Institutes Of Technology who came to the shores of America. The book captures the human success that is achieved when brilliant minds from the largest democracy in the world meet the opportunities available in the oldest flourishing democracy in the world. This is a must have book for anyone who wants to learn about the exemplary accomplishments and profound heritage of the IIT alumni in USA. 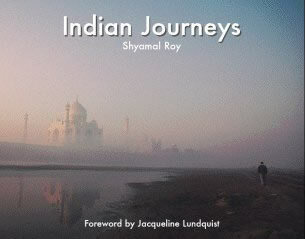 Indian Journeys is an anthology of photographs taken by Shyamal Roy over a period of twenty years covering approximately one million square miles of India. Jacqueline Lundquist who is married to Richard Celeste, former US ambassador to India, has written the poignant foreword. This book was specifically created to enable viewers to intimately touch the spirit of India and perhaps use it as a beautiful gift to introduce India to friends and the next generation. 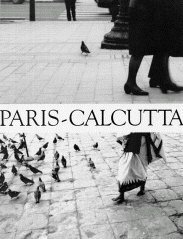 Paris-Calcutta, Images In Harmony captures the essence of two enigmatic cities in fifty pairs of matched photographs that harmonize with each other. Here, Shyamal Roy attempts to juxtapose the souls of Paris and Calcutta to express similarities and stimulations that have inspired many of the greatest artists on the planet. This book represents five years worth of intense photography in the City of Lights and the City of “inner” Joy. Collectors Edition (Only 1,000 printed, no reprints).